Aerodrums announces the release of its air-drumming instrument; a portable and quiet substitute for existing drum sets. “I had to stop drumming when I went to college because of noise and lack of space. Now I can carry Aerodrums in my shoulder bag and my neighbors can't hear me drum when I wear headphones,” said Richard Lee, co-inventor of Aerodrums. The instrument provides musical expressiveness on par with acoustic or electronic drum sets. It works by observing the drummer's gestures using a high speed camera connected to a computer. “It is the first time consumers can buy a proper musical instrument based on optical motion capture technology,” said Yann Morvan, director of Aerodrums. Aerodrums is available for PC and Mac in the US and EU for $160 / €120 / £100 from Amazon. Dozens of professional drummers tried Aerodrums at the 2014 NAMM Show, expressing enthusiasm for the instrument and anticipation towards its release. Click HERE to watch the NAMM video, recorded in Los Angeles, CA on January 23-26, 2014. 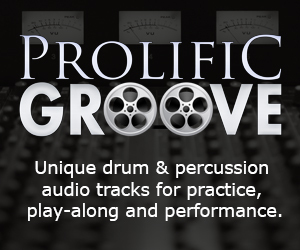 MIDI support in Aerodrums will be released on April 9, 2014. MIDI is a standard used by musicians to inter-operate their electronic equipment. MIDI support will allow drummers and producers to integrate Aerodrums in their music making process. Aerodrums is a UK company founded by Richard Lee and Yann Morvan in 2011 to develop and commercialize the Aerodrums instrument. Richard and Yann are former researchers from the computer graphics lab at Trinity College Dublin.